House lawmakers this week will consider the latest legislative effort to allow the Department of Veterans Affairs to more easily hold employees accountable for misconduct, amid warnings from the Obama administration that the new bill would "undermine" the agency’s workforce. Ahead of considering the VA Accountability First and Appeals Modernization Act of 2016 on the House floor, the administration expressed concerns over the legislation, labeling provisions that make it easier for the VA to fire or demote employees "misguided and burdensome." The administration also said in a statement that portions of the legislation raise "constitutional concerns," including a rule that would shorten the appeals process for employees who are disciplined by the agency. The development sets up a fight between the White House and Congress over efforts to expand the VA’s firing powers. The Obama administration objected to congressional efforts last year to make it easier for the VA to punish any employee for misconduct or poor performance. 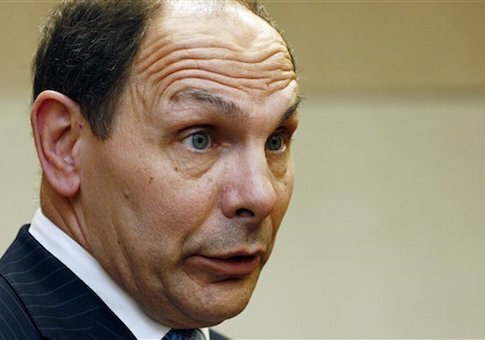 Congress two years ago passed legislation allowing the VA secretary to swiftly fire high-ranking agency officials over mismanagement or misconduct, after staffers at the agency’s network of hospitals were found to be keeping secret lists to hide veterans’ long waits for appointments. However, the VA said earlier this year that it would no longer use the fast-track firing powers afforded by the 2014 legislation after the Department of Justice decided they were unconstitutional. VA officials have defended the decision, despite criticism from lawmakers and veterans’ groups. The latest bill, which the House will consider on Tuesday and Wednesday, would eliminate a lengthy appeals process and allow the VA to fire or demote employees more easily for misconduct or poor performance. It also includes other reform measures, including rules aimed at protecting whistleblowers, shortening veterans’ waits to appeal denials of disability benefits, and limiting bonuses paid to VA senior executives. The legislation was introduced in July by Rep. Jeff Miller (R., Fla.), who chairs the House Committee on Veterans Affairs, and as of Tuesday morning had accumulated more than 30 cosponsors. "The Administration is strongly committed to strict accountability standards that ensure VA employees act with the best interests of veterans in mind," the Office of Management and Budget said in a statement Monday evening regarding the legislation. "But the Administration believes that the approach to accountability in the legislation—focused primarily on firing or demoting employees without appropriate or meaningful procedural protections—is misguided and burdensome." The administration applauded the provision of the bill aimed at reforming the appeals process for challenging denied disability benefits and said it welcomed the opportunity to work with Congress to address concerns about the legislation. Miller said that the statement left "wiggle room" for House Democrats to support the bill. "It’s quite obvious the Obama administration is leaving wiggle room for Democrats to support this commonsense bill," Miller told the Washington Free Beacon Tuesday morning. "That’s because, despite the administration’s allegiance to the union bosses that are fighting to uphold VA’s broken status quo, most sensible people know that without the type of accountability this bill would provide, VA reform will never succeed." Sen. Marco Rubio (R., Fla.) introduced companion legislation in the Senate.